The Traditional Wedge is History. You’re so close to the green. Yet the hole may as well be a mile away. At least you’ve got company. 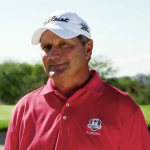 Millions of amateur golfers like you struggle with chips, pitches and bunker shots. You flub the easy ones and panic over tight lies or thick rough. End up in the sand and you’re lucky to get out in two. Maybe you’re plagued by fat shots. Perhaps you hit everything thin. If you’re truly unfortunate, you can’t shake the shanks. That’s right, it’s not you. It’s your club. While drivers, hybrids, irons and even putters have advanced by leaps and bounds, modern technology has left the wedge behind. 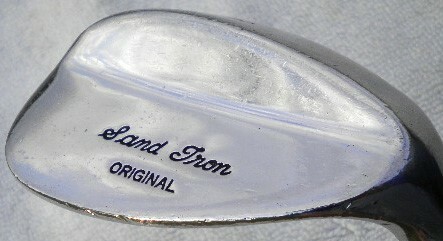 Take a look at your current sand or lob wedge. Strikingly similar, aren’t they? Guess when the pictured wedge was made. In 1960s. There’s nothing wrong with tradition, of course. Golf wouldn’t be the same without it. But when it comes to wedges, tradition just keeps your game from progressing. Well, it’s time to say goodbye to the clubs of yesteryear, and hello to the wedge of the 21st century. 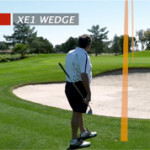 A wedge designed with innovative game-improvement features. A modern marvel that helps eliminate fat shots and makes escaping the sand seem like child’s play. 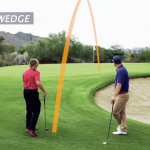 A stroke-saving miracle that puts the daunting flop shot in your arsenal – overnight. A wedge built not for the pros, but for everyday golfers like you. Say hello to the xE1. The xE1's inspired design creates inspiring results. They tried it. They loved it. "It's a bit of a miracle." Praise from in from the xE1's ever-growing list of converts. The xE1 was just simple to use. It took a lot of thought out of the swinging the golf club. I just swung the club and it just did what the club was meant to do. It just went right through the ball.